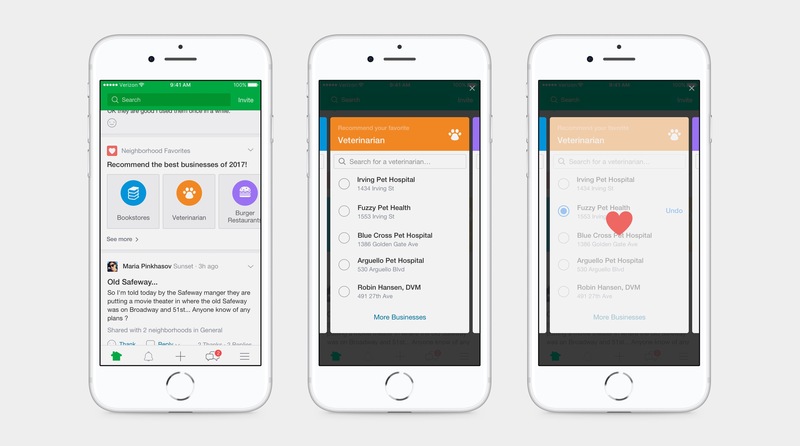 Nextdoor is a private social network that lets you talk to your neighbours, get news around whats happening around town and engage with local government. I interned on the Recommendations team and worked on Neighbourhood Favorites, business page, tagging flow and other projects. Neighbourhood favourites lets neighbours reward the best businesses in their area. Users voted in dozens of categories and needed an experience that was fast, engaging yet accurate. I interated through several versions, conducted user testing and built a MVP with my team in 2 months that was later launched nationally in September 2017. Increase the number of recommendations on the platform. The things your neighbors recommend is a huge reason why people look to nextdoor for advice. Nextdoor has always had a discrete, organized Recommendations section but the engagement has never been great. That’s how the idea Neighbourhood Favorites came about — we ask people to recommend a bunch of businesses at once, and this would give the platform much clearer signal into which places people love the most. This is essential in long term product strategy and monetization. 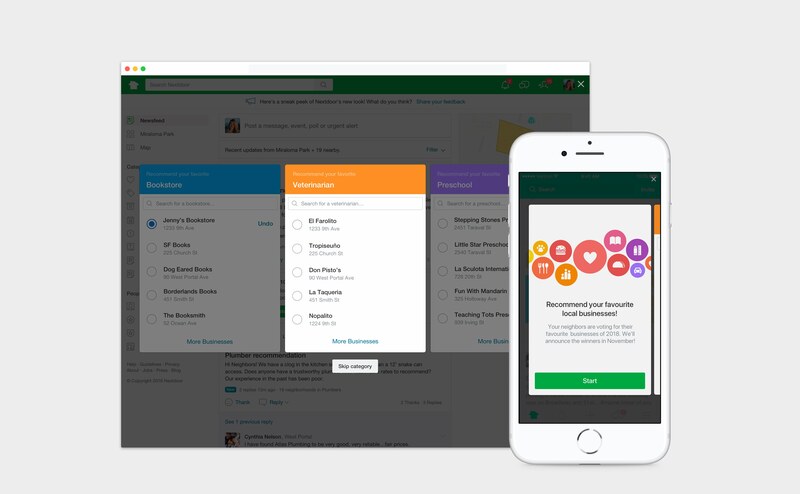 Members can quickly recommend dozens of businesses without leaving where they were. How do we ask people to recommend 15-30+ businesses without immediately scaring them away? Each category is represented as a card and each card displays five businesses. Tapping on an option recommends the business and search is accessible one tap away. The color labels and large titles makes it clear which category the user is in. 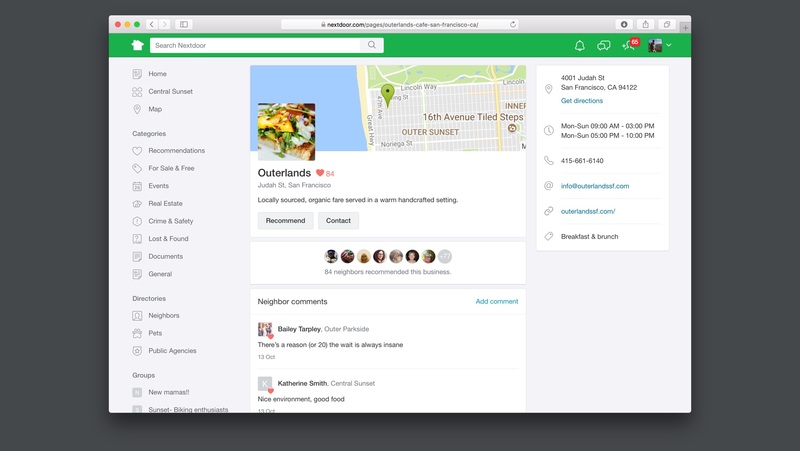 In the prototype we see an edge case where a business is not available in the Nextdoor system at all and this is handled seamlessly in the UI. How do we keep users from dropping out of the experience? Recommending a business results in a large animated heart that reinforces the user’s actions. I explored some ways of animating this reaction in a way that was fun, dynamic and engaging. 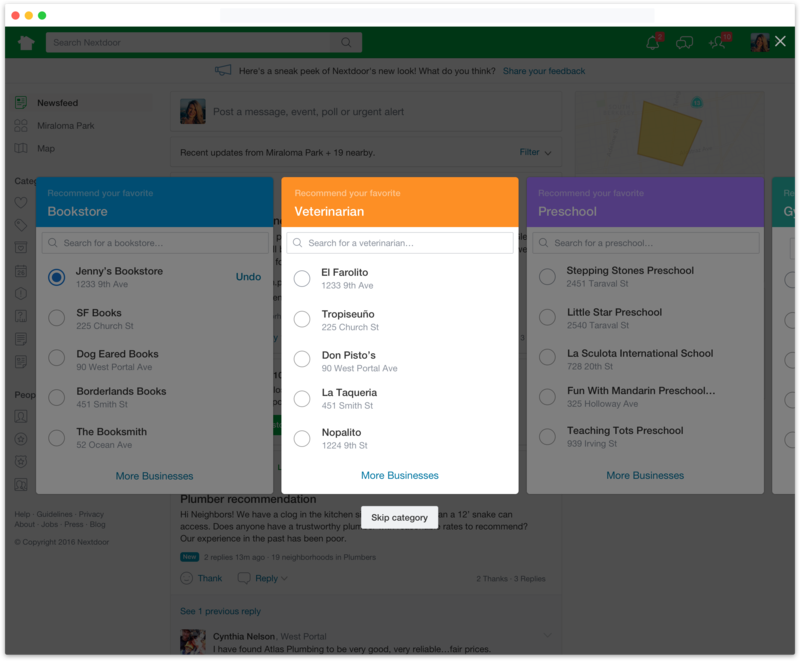 If a user exits the survey early, completed categories are automatically removed from the list. This interactive prototype and all animations were all made in Principle. Play with it yourself. How do we make it as fast as possible to recommend businesses? The survey automatically advances to the next card after a recommendation. Users can also swipe to skip irrelevant categories. It’s incredibly fast to go through even several dozen categories without tiring. The spartan visuals, dynamic animations and scrolling creates a tight feedback loop. I worked closely with engineers to implement the design across web and mobile. Over 17 million new recommendations came from Neighborhood Favorites. In some communities it means the number of total recommendations tripled or quadrupled — a huge boost to the visibility of Recommendations. 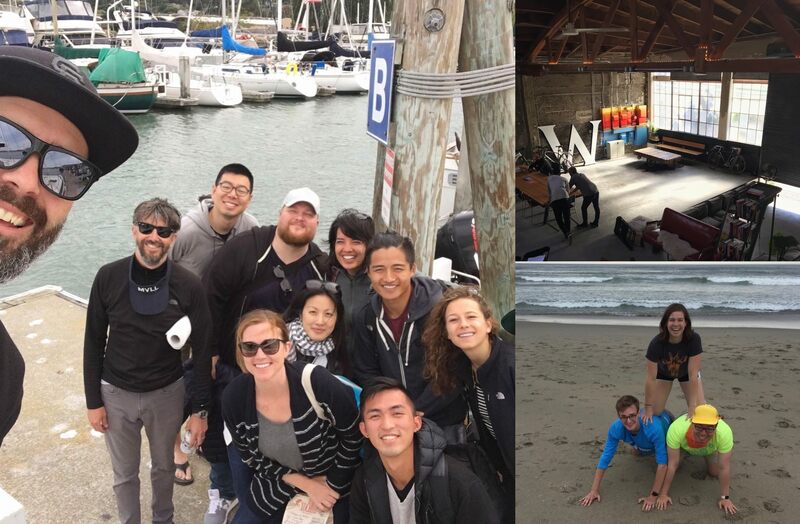 This was a really fun project and it was great to work on a small team building something from spec to a MVP during my short time at Nextdoor. I’ve never had so much responsibility in a project and I had to really step up to the mantle because people depended on me. It was also a personal success because with the executive meetings and many debates, my vision persisted through the end. The old business page was cluttered and confusing. I worked on surfacing member content, clarifying the heart currency and maintaining consistency across platforms. Launched Fall 2017. When members mention a business in a Recommendations thread, they’re asked to tag and heart it. The old process was modal-based, jarring and intrusive. The worse thing was that it took the user away from the conversation with their neighbor. I completely overhauled this experience by making actions inline, contextual and reduced the overall number of steps. The first week I moved to SF I posted in my Nextdoor looking for a used bike to hop around town and to my suprise my neighbor Robert really came thru and gave me his old mountain bike for free!! I rode that thing every day for 4 months up insane hills, up to Mill Valley and it never broke! What I love about Nextdoor is that every online interaction directly results in a physical interaction — something that can't be said for every social network. Between the boat cruises in the bay to sprinting to see the world's smelliest flower I had a blast at Nextdoor. Special thanks to my mentor Brian Van Veen! Geospatial analysis for critical workflows.